Keep baby comfortable, warm and snug with this cotton blanket quilt. 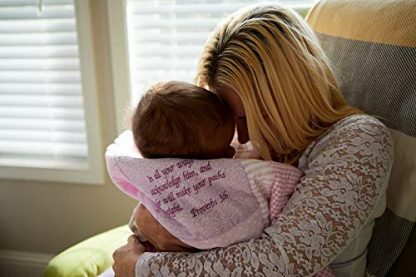 It is carefully embroidered with Bible scriptures to keep baby protected with a layer of God’s love. 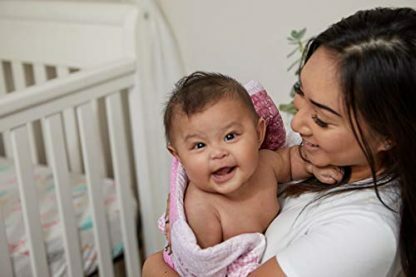 It is comfortable, soft, warm, and safe for baby’s skin. 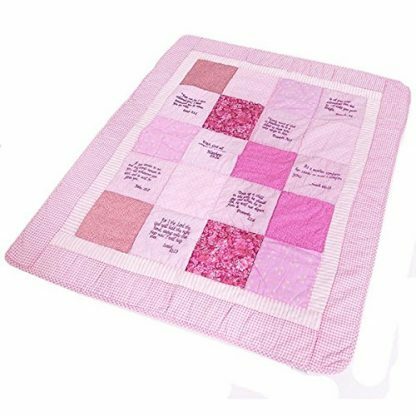 This quilt is a perfect Baptismal or baby shower gift for Christian families! 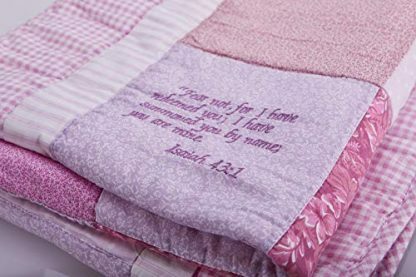 If you are gearing up for baby’s baptism, christening, or dedication day, you might want to make that more special with a unique and warm gift such as this baby quilt cotton blanket. It gives baby warmth, comfort, and keeps them snug. 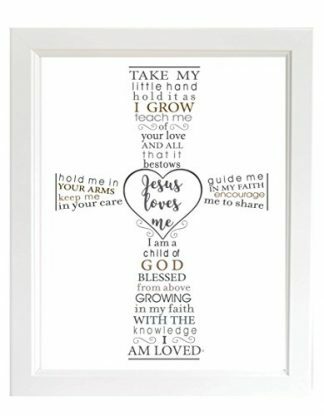 It also comes embroidered with Bible verses, making it the perfect gift for Christian families. 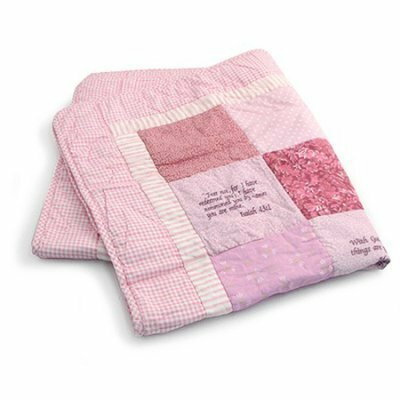 HYPOALLERGENIC and BREATHABLE – you can be sure that this pure cotton quilt will be soft and comfortable to baby’s skin. 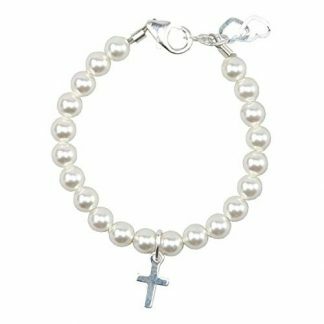 QUALITY WORKMANSHIP – A wonderful long-lasting keepsake to hand down through generations. 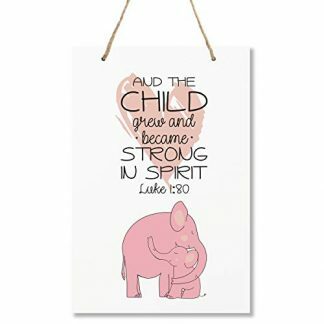 DURABLE AND PRACTICAL – easy care machine washable and dryable; gets softer with every wash.
Wrap your little one in God’s Word. 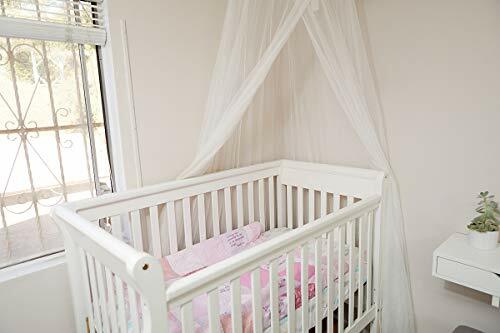 This snug quilt blanket is made from 100% cotton, and it is hypoallergenic and breathable for baby’s skin. It is easy care so machine wash and dry on low temperatures for a long-lasting look and feel. Make this once in a lifetime event for baby a very special and sweet one with this unique and blessed blanket comforter.